· Colour: White and Green stripe, and White and Red Stripe available. 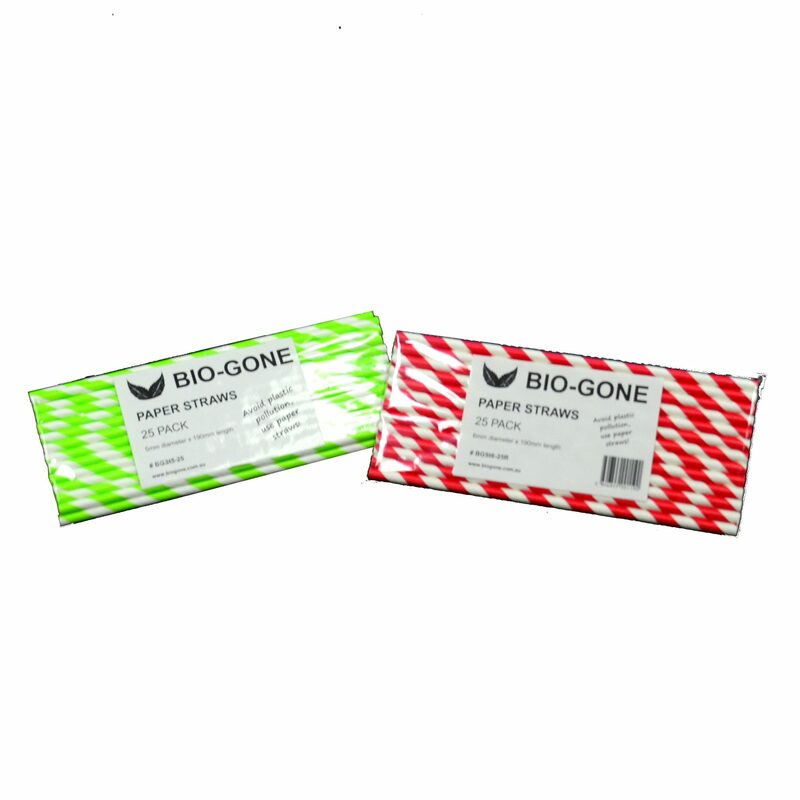 Bio-Gone Paper Straws, these are regular sized straws. 6mm diameter paper straws, in a fun sized pack of 25 straws. Plastic Straws from Sales on Vimeo.